While hiking with a bunch of fifth-graders last week, my youngest son and I started reciting lines from one of my children’s favorite books. I can’t tell you how many times I’ve read this thing aloud over the years — but it sticks with you. Anyway, I was riding to work on the Mendota, thinking about my hands. The Bontrager Satellite hand grips on this bike are very comfortable. According to Bontrager’s site, the “Ergonomically-placed gel provides all-day comfort.” I know that, in the greater scheme of things, hand grips aren’t the end-all reason for enjoying a bike ride, but I like the feel of these and thought you should know. I wouldn’t go as far as to say “all-day comfort,” rides longer than 30 minutes made me have to shift my grip a few times — but these are great for a typical commute. At $12.50, I’m thinking about getting another set for my Trek. The shifters took me a couple miles on my maiden voyage to figure out. 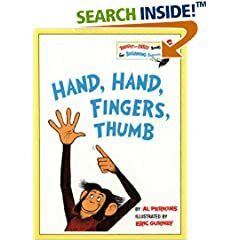 I’m used to using the thumb on my right hand to down shift (up shift on the left hand) and my right index finger to shift up (down on the left hand). When I first hopped on the Mendota habit made me try to shift the same way; I thought I had my first big complaint. Turns out that with the SRAM SX 5 trigger shifters you use your thumbs for both triggers. Dooh! The tekTRO brake handles are well placed and easy to get to. I believe the Mendota has the MT 4.0’s. The two finger width on the levers is a nice design; very natural and keeps two fingers on the handle bars. Do you happen to know what the weight of the Mendota is? I ride a Gary Fisher Tiburon (2006) on a 30-mile round-trip commute and I am wondering if it is any lighter… (btw, I can’t find weight specs on the Tiburon… What did you ride before this? The Mendota is VERY light. I’ll try to get you a real weight if I can find a good scale. My current bike is last year’s Trek 7.5 disk (but they were out of the 7.5 frame, so the 7.3 frame was substituted — same frame, different color). When I get the time I’m going to do a worksheet to compare components. if you can bust through the learning curve / fear factor i think drops are way more comfortable than any flat bar. zoom zoom. As the owner of three different bikes with three different cockpits (road bike, tri bike, and commute bike), it is true that drops are much better for longer distances (more hand positions to relieve stress) and speed (better aerodynamics). For riding in traffic, however, I *much* prefer flat bars. Not only do you get a better view with the more upright position, but cars and trucks get a better view *of* you. Having just turned 50, my doctor recommended that I try something for cardiovascular activity. Biking brought back some fond memories, so I went to Jeff’s Bicycle Shop in Huntington and bought a Mendota (I wanted a Utopia or Montare, but would have had to wait till November). This bike is FAST!!! My last bike was a 1972 Schwinn Continental which was stolen in Key West after 25 years of service.. I now reside in Huntington,WV (home of the Marshall University Thundering Herd) and it’s the perfect bike for this town. My neighborhood is a 50/50 mix of pavement and brick (hence, my lean toward a Dual Sport Montare), and this bike makes the transition with ease. Mind you, I haven’t ridden in ten years since my Continental was stolen, so the adjustment to the shifters was very intuitive, the setup makes sense! I’ll probably always wonder about the Montare/Utopia, but I’m not disappointed. The price?-$900 + tax. My Continental came in @ $115 — if I get 25 years of service from my Mendota, I’m OK with the investment!